Spain's Top Military Brass See Hisdesat's PAZ Sat Before Shipping to U.S.
One last visit, this time by Spain's General Staff of Defense, through their highest representative, the General of the Army Fernando Alejandre Martínez (JEMAD), and accompanied by the Admiral, Francisco Javier González-Huix Fernández, Joint Chiefs of Staff (JEMACON, have visited the PAZ satellite, owned by the Spanish government satellite services company, Hisdesat. In this meeting, they learned the latest details about PAZ before moving the satellite to California for launch. Hisdesat, owner of the satellite, made public last March the selection of Space X to move PAZ into orbit using that firm's Falcon 9 launcher from Vandenberg Air Force Base. The launch window has already been confirmed as January 30, 2018. The PAZ satellite incorporates as the main payload an active sensor with synthetic aperture radar (SAR) technology that provides images of different sizes and resolutions, both day and night and regardless of weather conditions, that will allow yfor the observation of the Earth for multiple applications, government and commercial, including demands for very high-resolution images, below a meter. The satellite will be able to take more than 100 images per day, with which it will cover an area of more than 300,000 square kilometers per day. 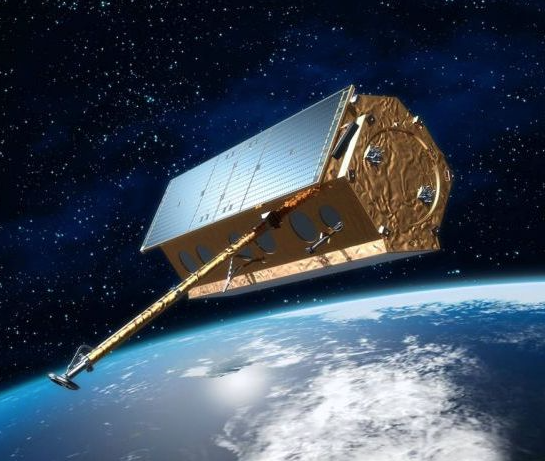 The satellite will maneuver for 15 revolutions of the Earth each day at a height of 514 kilometers and with a speed of seven kilometers per second. Given Paz' slightly inclined quasi-polar orbit, the satellite will cover the entire globe with an average 24 hour revisit time. The PAZ satellite manufacturing completed. Photo is courtesy of Airbus Defense and Space. 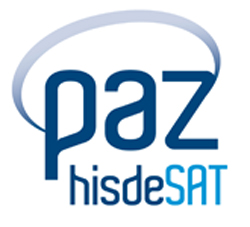 As secondary payloads, the PAZ satellite also carry an ICE-CSIC Radio Occultation and Extreme Precipitation experiment (ROHP) as well as an AIS receiver from exactEarth, of which Hisdesat is the largest shareholder — for the first time a merger of SAR and AIS data simultaneously can be made, allowing for the best possible monitoring of the maritime environment around the world. The total estimated PAZ weight is 1400 kg. which is also 5 meters high and 2.4 meters in diameter. 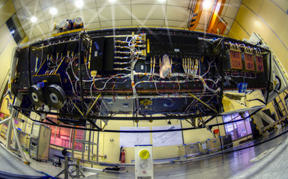 The satellite's main contractor is Airbus Defence & Space and involves a consortium of 18 Spanish companies and universities. The owner of the ground segment is INTA, which has as subcontractors a Spanish industrial group headed by INDRA, GMV and DEIMOS and the German DLR. 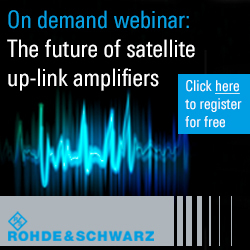 The PAZ satellite have the same orbit as the German satellites TSX and TDX to form a SAR constellation, which will be exploited by Hisdesat and Airbus DS GEO, enabling those firms to offer a shorter time for satellite revisit and a greater number of images captured for clients. The PAZ satellite is part of the PNOTS National Earth Observation Satellite Program, with the Ingenio satellite (optical), led by the Ministry of Industry and the CDTI, being the second member of the aforementioned program.